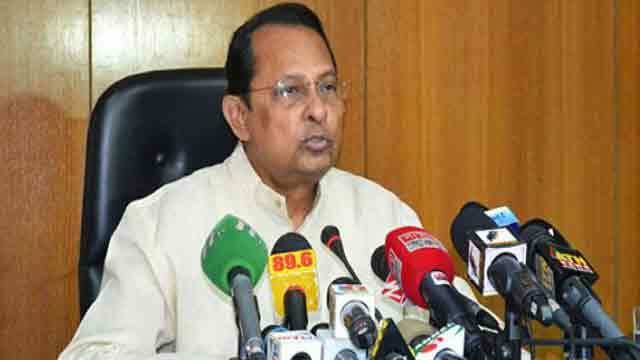 Dhaka, Aug 7 (Just News): Information Minister Hasanul Haq Inu on Tuesday rejected the statements of US Embassy and UN office in Dhaka about the attacks on students demanding safe roads, saying those did not portray the real picture. “The US Embassy's statement is unfortunate as it didn’t portray the real picture of the reality in Dhaka. We reject the statement and urge them to withdraw it,” he said while talking to reporters at the Secretariat. “There was no incident of suppression through brutal attacks on students during their movement and there's no such report in the media, too. The students had gathered in different parts of the city and no attack was carried out on them,” the minister said, adding that such statement is tantamount to poking nose into the internal affairs of Bangladesh and it is devoid of courtesy. The United Nations (UN) on Sunday urgently called upon all parties to keep everyone -- including children and young people -- safe on the roads and safe from any kind of violence. The Information Minister termed the statement “unprecedented” and “unwarranted”, saying it is not right. Inu also urged the UN office and the US Embassy to refrain from issuing such statements and portray the true picture of Bangladesh instead of giving it a different colour.